The American Booksellers Association has announced the finalists for the 2019 Indies Choice Awards, the E.B. 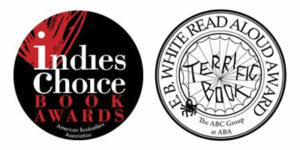 White Read-Aloud Awards, as well as nominees for the Indie Champion Award and Picture Book Fall of Fame honors — and Penguin Random House adult and children’s titles across our divisions are prominently represented. Through “Indies Choice,” independent booksellers from ABA member stores have the opportunity to select their favorite titles published last year, voting for them through April 24 via online balloting. Winners will be announced on May 1 and celebrated, along with the honor book recipients, on Thursday, May 30 at BookExpo 2019 at the Javits Convention Center in New York City. Congratulations to all of our finalists, their publishers, and our sales teams on this well-earned recognition from our valued retail partners. To view a complete list of finalists, click here.